Now did you have any doubts on this winner of the 64th Filmfare Awards for Best Actor in the Popular category? The competition was high in the category, we must add. 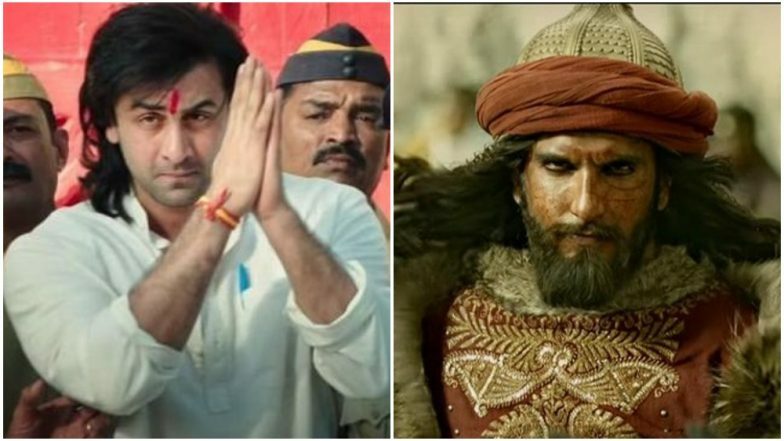 Ranbir Kapoor and Ranveer Singh were the toughest competitors with their scintillating performances in Sanju and Padmaavat respectively. There is Akshay Kumar who is nominated for Padman, Shah Rukh Khan for Zero, Rajkummar Rao for Stree, and Ayushmann Khurrana for Andhadhun. 64th Vimal Filmfare Awards 2019: Lovebirds Ranbir Kapoor-Alia Bhatt's Stylish Avatar Makes us Say WOW. Ranbir Kapoor won the award for Sanju where his performance was hailed by many as his career-best act. Sanju Dutt was a fictionalised take on the life of the controversial actor, Sanjay Dutt, with Ranbir Kapoor stepping into his shoes. The movie was directed by Rajkumar Hirani, and also starred Paresh Rawal, Manisha Koirala, Sonam Kapoor, Anushka Sharma, Dia Mirza and Vicky Kaushal. Fans of Ranveer Singh need not worry, as the Simmba superstar took away the Critics' Choice award for the Best Actor. He got this honour for this menacing turn as Alauddin Khilji in Sanjay Leela Bhansali's Padmaavat. Filmfare Awards 2019 : Ranveer Singh Goes down on One Knee to Accept the Award from Wife Deepika Padukone, Watch Video. The other nominees in the category were Ayushmann Khurrana (Andhadhun), Nawazuddin Siddiqui (Manto), Ranbir Kapoor (Sanju), Varun Dhawan (October) and Vineet Kumar Singh (Mukkabaaz).